Every aspiring guitar player should first learn how to play a handful of beginner guitar chords. 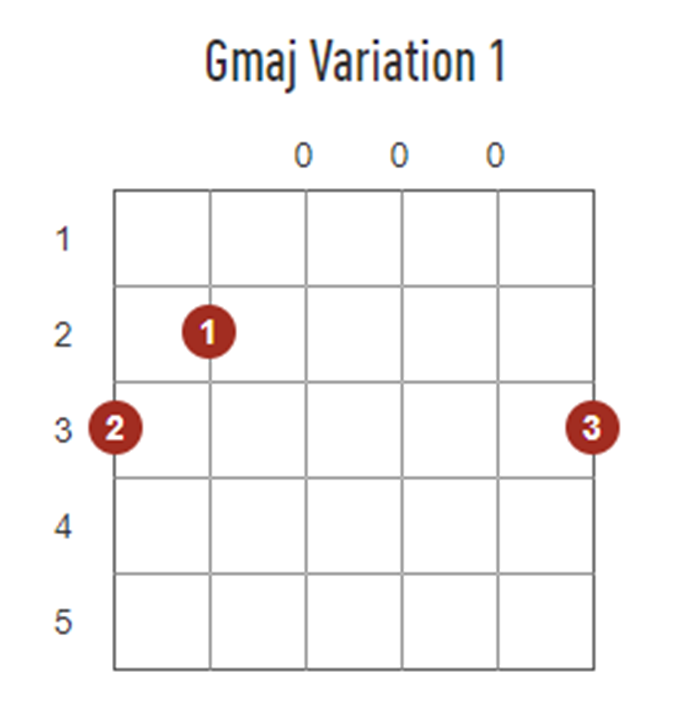 Luckily Guitar Tricks has a vast library of chord charts for you to learn. And if you don't know how to read a chord diagram, we got that covered too. The majority of music in pop culture uses the same group of chords. If you learn how to play these chords, you’ll be able to navigate your way around most songs, and would be able to play a lot of the songs in our Made Easy songs library. For the sake of this blog post, all of the chords mentioned will be referred to in their open chord form. 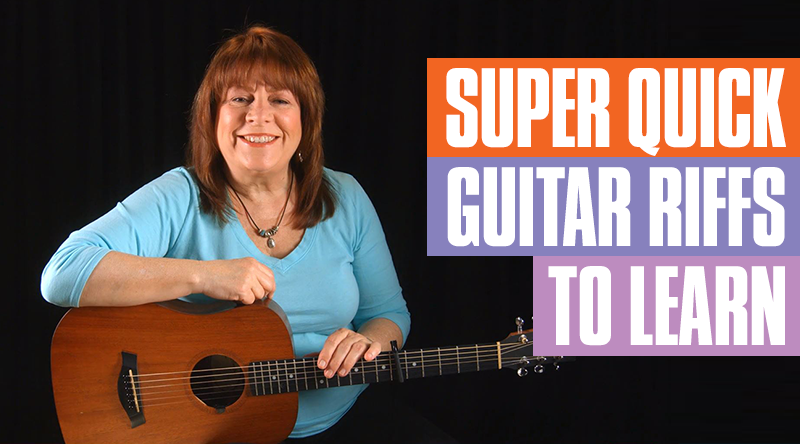 It might be tough to play this song correctly when you first pick up the guitar due to it’s finger placement on the fretboard, but a number of more advanced chords will feel just like this one. You’ll have to use your first, second and third finger to make a shape that almost looks like a staircase. 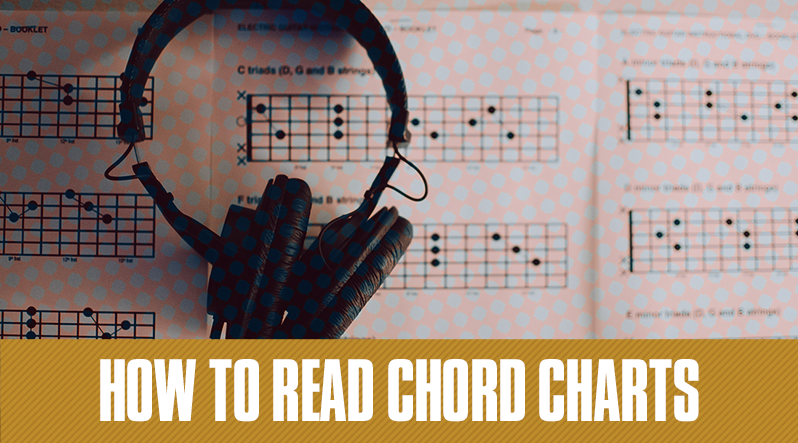 If you can play a C chord, you’ll be able to play a ton of songs, as well as this next chord. 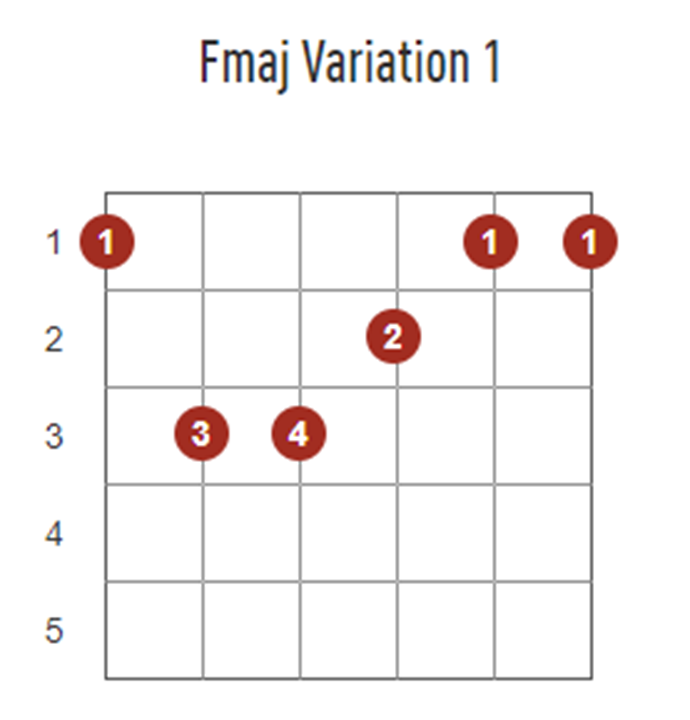 Playing the F chord is very similar to playing the C chord, but with a minor difference, as you can see, in the chord chart above. 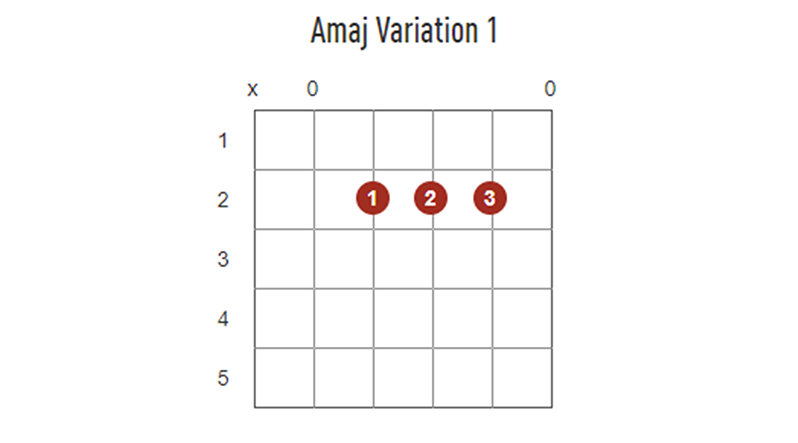 This is one of the simpler chords to learn if you’re just beginning to play the guitar. It requires three fingers placed all on the second fret. Pretty easy! More experienced guitar players sometimes play this chord with a single finger barred across all of the notes. Here we go, the G chord. This one is awkward and forces your hand to make a claw-like shape. When you’re beginning to learn this one, it’s going to be tough because switching to it is a pain. Imagine you spent hours remembering how to play a C or an F chord, and then the song asks you to go from a C to a G chord. 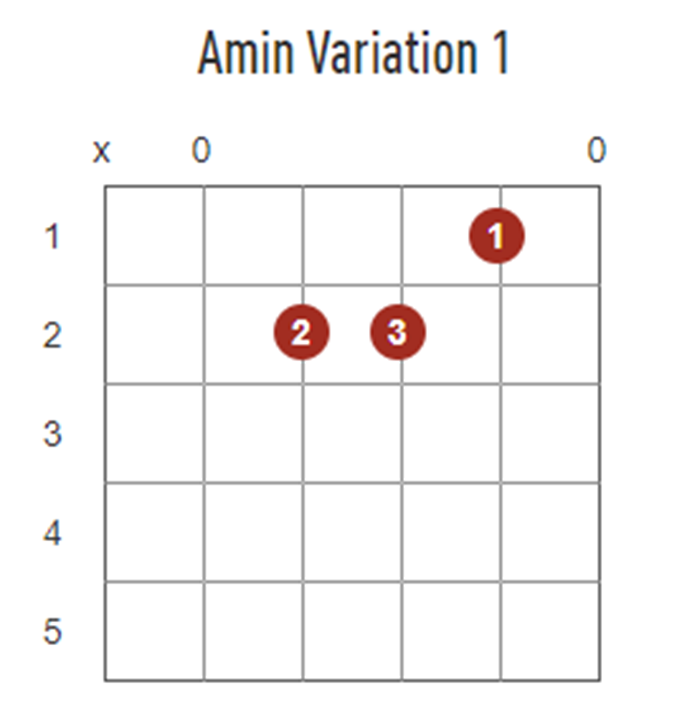 This is a complicated movement and a lot of new guitar players get tripped up over this. But like with anything, it will take a bit of practice and patience before you master this one. 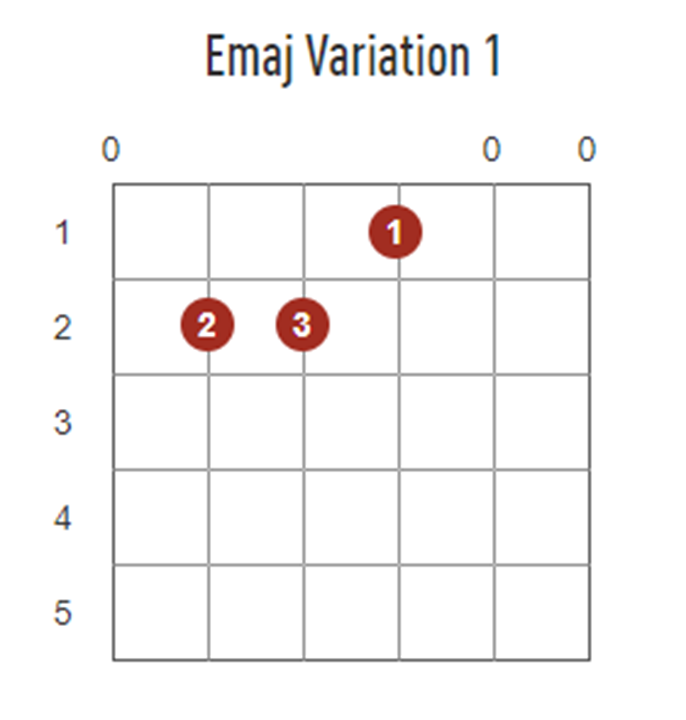 The E major chord has a bit of a western, bluesy sound. It sounds powerful and will prepare you for how to play barre chords. 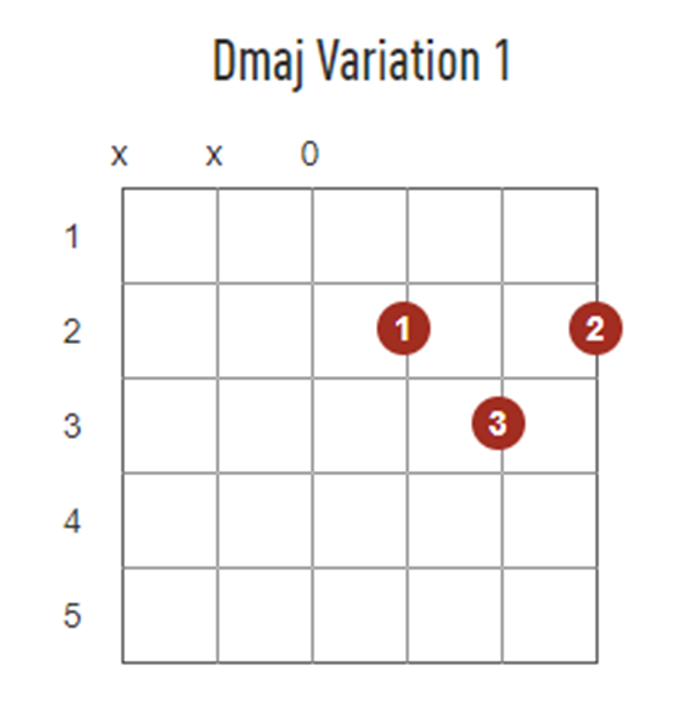 The D chord gives chord progressions a very bright sound, since all of the notes in play are on the highest strings. 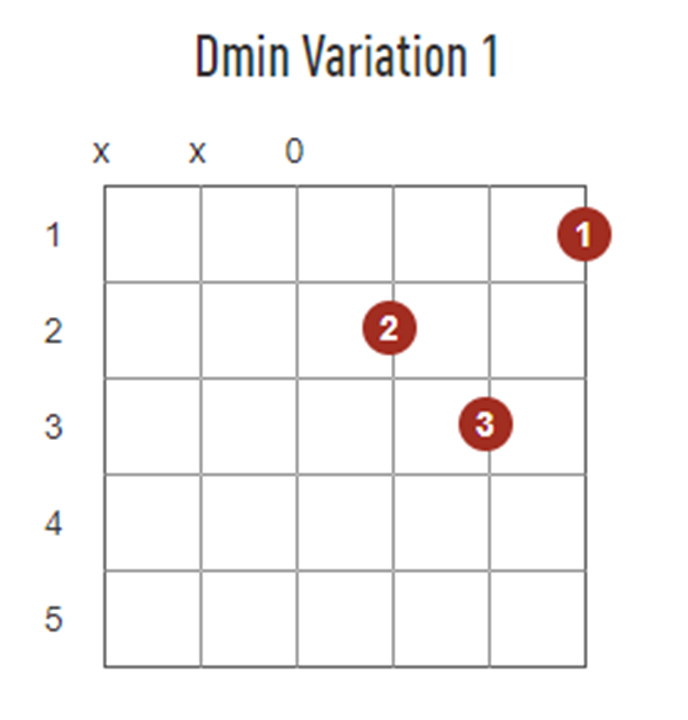 It’s also very common for songs to feature a D to a G chord progression, and this can also be a tough move to pull off if you’re new to guitar. Give it a try and remember, be patient! 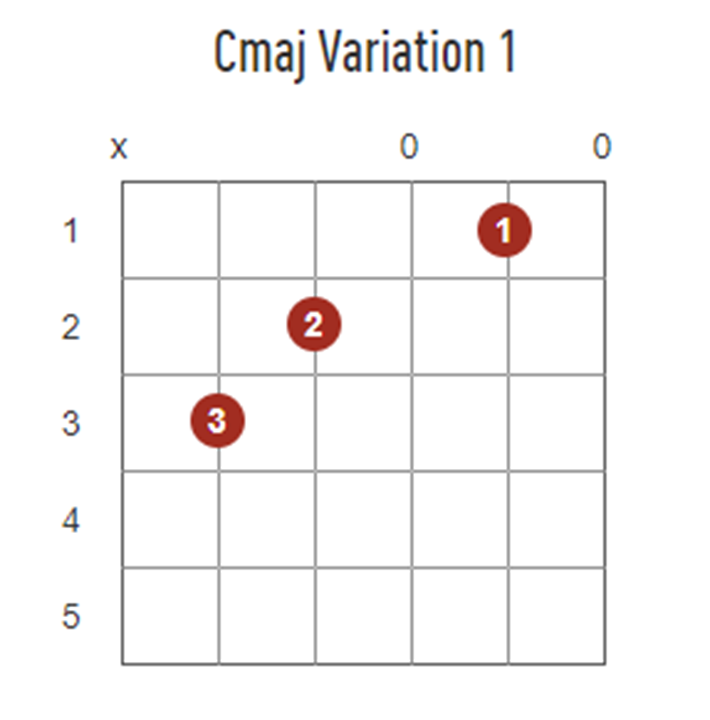 This chord is very similar to the E chord because it uses the same shape but everything is moved up one string. You’ll also notice that this chord, and the next two chords have a sad sound to them, this is why they are called minor chords. 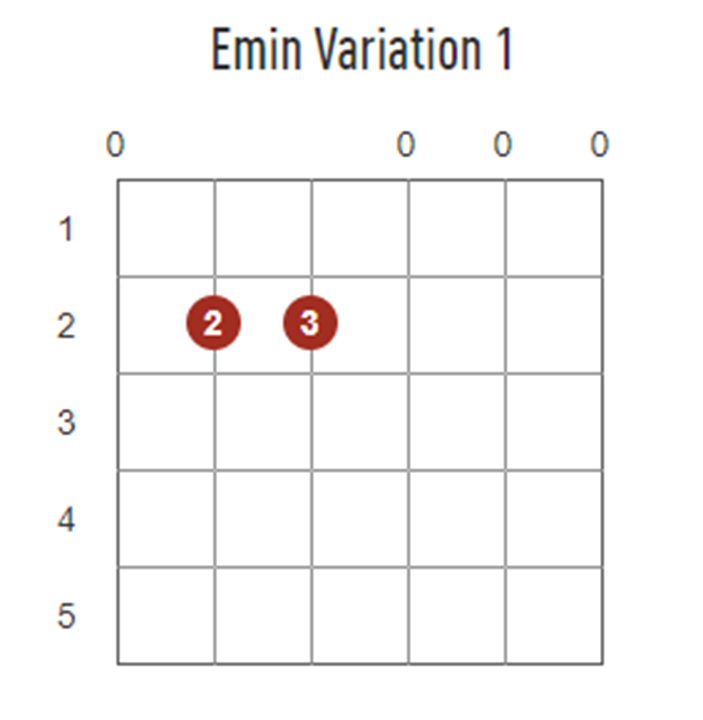 This chord is just like the E major chord listed earlier, but minus the one note on the first fret. The Em chord is a great chord to learn first because it only requires two fingers to play. The Dm chord is a little funny at first because you have to spread your fingers out. This is where the one finger-per-fret rule comes in handy. In the Beatles song “I Want You (She’s So Heavy)” the guitar part at the repeating outro uses different variations of the D minor chord among other bits! Pretty cool. 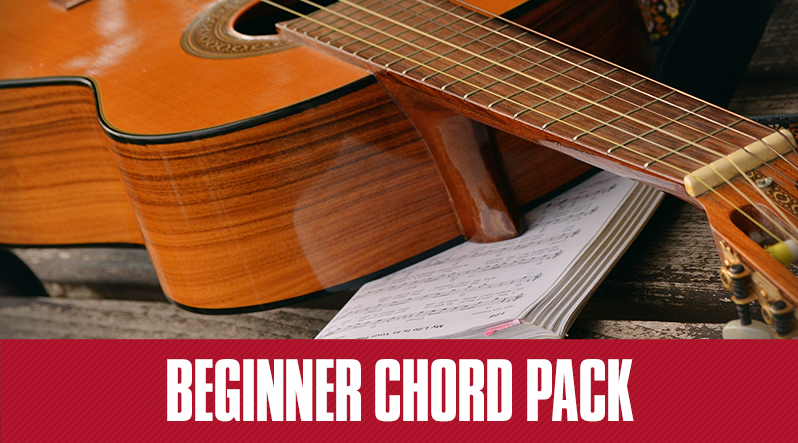 Now that you’re familiar with these beginner guitar chords, it’s time to put them to use. Here are just three songs you might want to try that incorporates a number of these chords. Our Made Easy versions of song lessons take popular songs and breaks them down into simpler versions. You only need to know a handful of open chords to play these songs, and they sound great. This classic from Lynyrd Skynyrd should be a staple in every rock guitar player’s repertoire. The intro alone starts with variations on the open C, D and G chords. Learn how to play Sweet Home Alabama (Made Easy). The intro for this song as made famous by Rihanna uses a number of the open chords above, but perhaps the most challenging part of the song is the tempo. This song requires a number of quick chord changes and is a great workout for anyone trying to get their rhythm chops up. Learn how to play Stay (Made Easy). This Creedence Clearwater Revival hit features a memorable intro and a verse section that only uses one chord! It’s a great song to learn to practice fast chord changes, as well as how to play in time with a steady beat. The entire verse only uses the D chord. The verse also incorporates what’s called dampening. Dampening is when you mute the entire chord by lifting a bit of your fretting hand while also strumming. Learn how to play Proud Mary (Made Easy).